SECURITY APPS 2013.Don’t let anyone listen in on your voice and video calls. Here are some great apps that can Secure your VoIP voice and video calls and encrypts your conversations so that they can’t be listened in on. You can also blocks unwanted calls and texts from known spam numbers using these apps. So, make your Smartphone secure using these apps. Avoid high roaming charges while travelling abroad by using Wi-Fi or 3G/4G Data Plan on any Android device without using carrier minutes. Unlimited SIP/VoIP and VoLTE calling and instant messaging to other VoX Mobile customers from anywhere in the world. 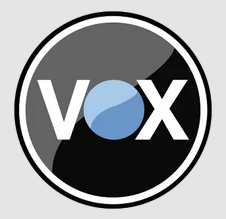 Voxx offers users crossplatform encrypted communications, and costs slightly less than Silent Phone at just $4.99 a month after a free two-week trial. The downside here is that Voxx only works peer-to-peer, so requires both ends of the conversation to use Voxx. Secure your VoIP voice and video calls with Silent Phone, which encrypts your conversations so that they can’t be listened in on. Used by both businesses and governments, Silent Phone is also targeted at individual users at an a affordable rate of $10 per month. This includes the full Silent Suite, including protecting voice, video and text messaging. If you’re concerned about what might happen to your data, the company insists they act as a medium but don’t record calls. Cell/WiFi – make secure encrypted calls worldwide with HD clarity. Conduct encrypted mobile video chats over cell/WiFi anywhere in the world. 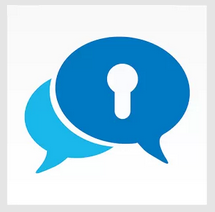 Hold an encrypted mobile conference call – all end-to-end secure. Visual confirmation of attendees to the Conference Controller. 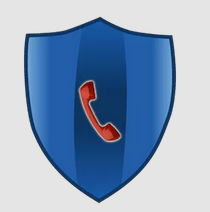 As its name suggests, Call Control blocks unwanted calls and texts from known spam numbers. The app automatically blocks thousands of numbers reported by its community, but you can also create a personal black list for nuisance callers and a white list to ensure priority calls always get through to you. Call Control is full featured, super easy to use and is trusted by more than 5M users to block unwanted calls and texts. With Call Control – your phone only rings when you want it to. Automatically blocks thousands of active spam callers reported by the community. 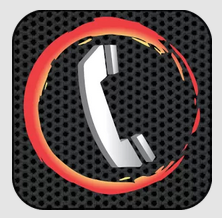 Community Blacklist stops telemarketers, debt collectors and other spam calls before they bother you. Reverse lookup for spam callers to find out who’s calling (and it’s free). Powered by the FCC Do Not Call Registry – blocks reported offenders automatically. The developers behind Lockfone are so confident in their encrypted VoIP calls that they offers a cash prize for the rest hacker to crack their security. However, non-business users may consider it a little out of their budget, with a basic package covering just calls and texts costing $600 a year – with no option for monthly payments. Always On – Customized push technology enables LockFone to notify users of incoming calls and texts even when the app is off.